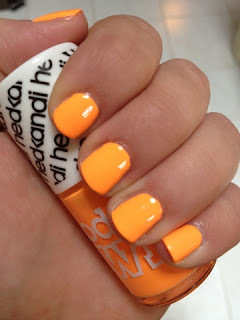 I know it's not officially summer yet, nor is it even particularly sunny here in the UK but I wanted to brighten things up a little and recently I've been really loving orange nail polishes, I've bought a few, a Revlon and another Essie one but I think this Models Own one has to be my favourite, it's neon but creamy at the same time and just really "pops" on your nails, Even if you're wearing a plain outfit, this adds a bit of something extra to it! I'm not overly keen on the formula if I'm honest, I find it a little thick so I work it by scraping most of the polish off and doing a thin initial layer so the second layer has something to stick to otherwise it just goes gloopy and smudges I find! 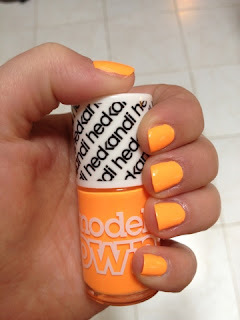 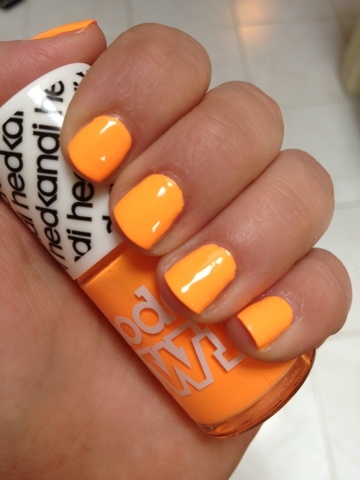 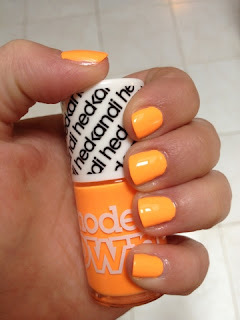 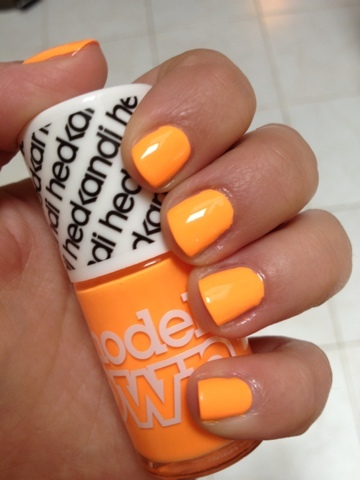 6 comments on "NOTD: Models Own Hed Kandi Beach Party Polish"
i'm so obsessed with models own polishes at the moment and this is definitely next on my list!